We are always looking for fresh new talent to showcase and develop products for the interior market. 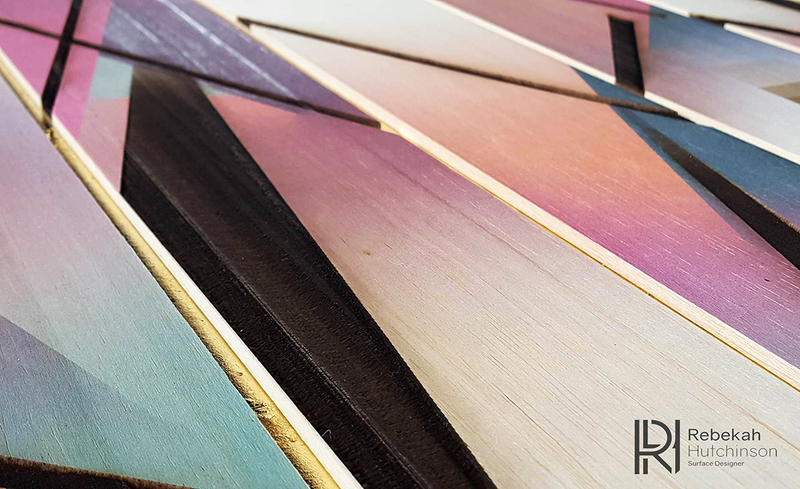 We are delighted to announce a collaboration with Designer Rebekah Hutchinson to bring a range of new exciting design options to our acoustic panel range. 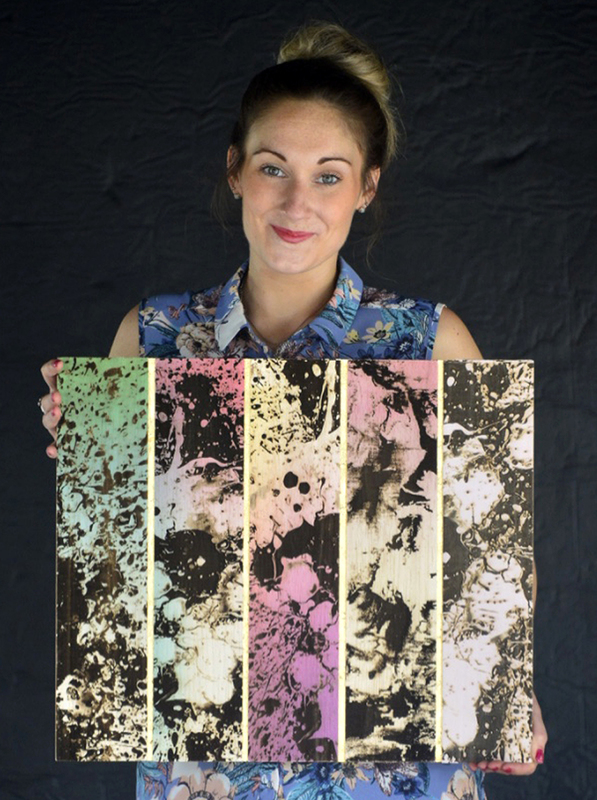 Fascinated by colour and texture, Rebekah Hutchinson creates bespoke wall coverings/ wall art. With a strong focus on energy and movement, her work expresses a sense of mindfulness, allowing people to slow down, free their minds and experience the present moment. 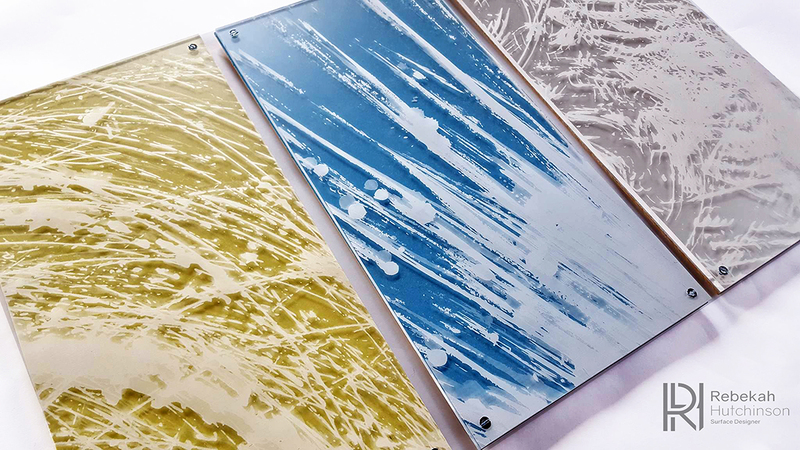 Rebekah embraces the natural colours, textures and patterns of materials using two main techniques, which comprise of laser-rastering and UV printing. These techniques are combined to create surfaces that have both visually and tactile appeal. Rebekah is dedicated to experimenting and testing new materials, producing collections of wall panels/ wall art for interiors. Her longer- term view is to create large-scale wall panels, and the possibility to go into furniture. 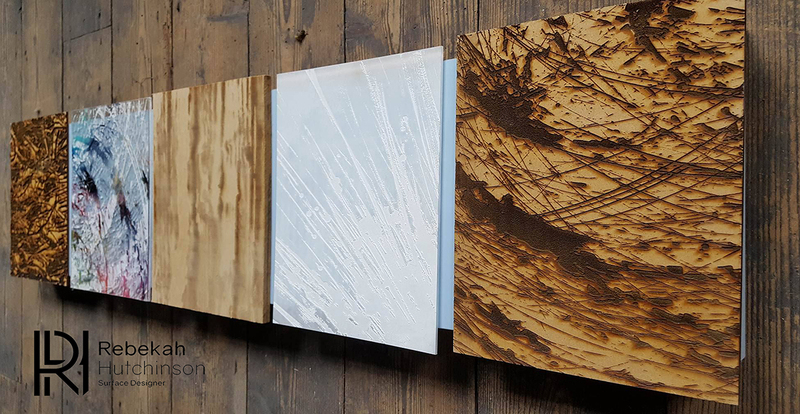 We have embraced Rebekah’s designs and manufactured a chosen selection into acoustic wall panels. These bright, vibrant panels works well for any environment as wall art with the added advantage of providing absorption to control reflections. Our acoustic Absorbers can be any size with any printed fabric finish, why not take a look at Rebekah’s vast portfolio for design ideas and bring a unique design to your walls.